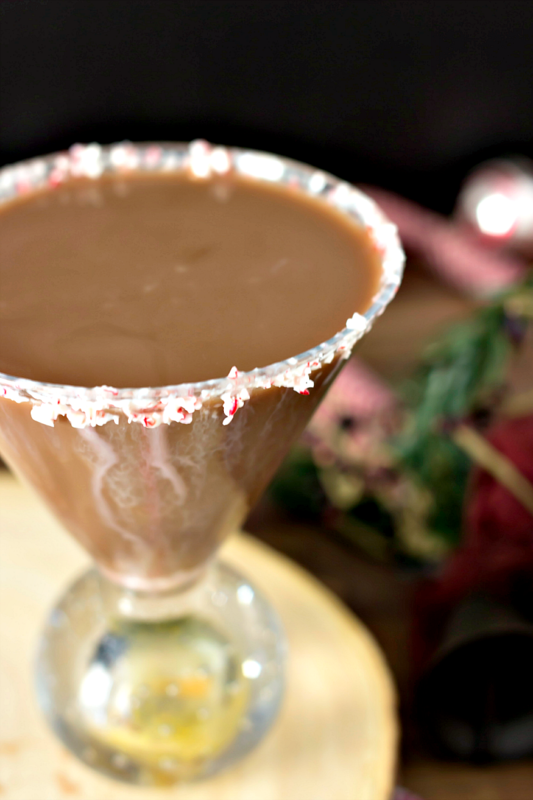 Get ready for Christmas with this peppermint chocolate martini recipe. It's only three ingredients and so easy to make! Well, Halloween is over which means…it's basically Christmas. At least for us bloggers, since we have to get content for it out. 😛 One thing that's difficult about it is getting the ingredients we need for certain things, though. Even though Christmas decorations have been in stores since the beginning of October (or earlier…), getting my hands on, say, peppermint vodka? Very difficult. In fact, I still haven't managed it (if it exists). So even though martini's are generally made with vodka, this one isn't. Instead, I used Dekuyper's peppermint liqueur. 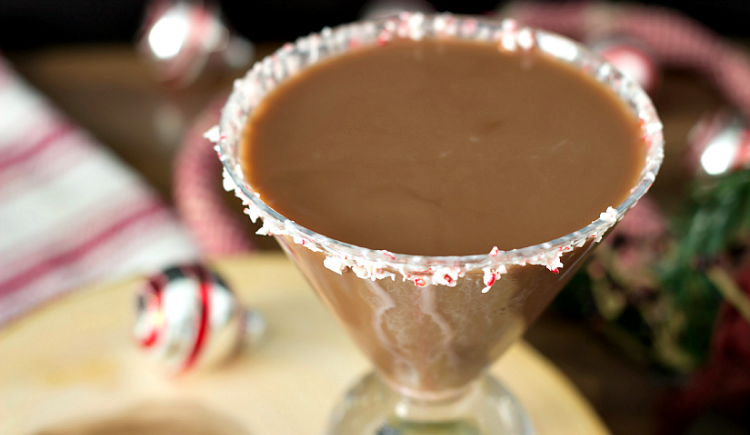 For this chocolate martini recipe, you can use any kind of chocolate liqueur you like. I really like Godiva's (ohhh yes, Godiva chocolate liqueur is a real thing), but it's a bit expensive. So I use Dekuyper's creme de cocoa. They have two kinds: a clear one and a dark one. The clear one is just regular creme de cocoa. The dark one is more like a brandy, which is good as long as you like brandy. Use whichever one you want. I've only ever used almond milk for this, since I prefer it over coconut milk, but either one will work. If you still prefer to use regular milk, go with full fat. Lower fat milks curdle more easily (and, for the record, they sometimes contain more sugar in order to make up for the taste difference caused by the lack of fat). It's important to also add the milk first, as well, and then pour the alcohol into it. If you do it the other way around, it's more likely to curdle. As for the garnish, I used peppermint candies that I crushed. Then I dipped the rim of the glass in water and(leaving it upside-down as you transfer it) dipped it into the peppermint. It actually…didn't go as planned. The candy rubs off the glass easily and, once wet, will start to stick to the other crushed candies. So I had a huge mess. If you can make it work, though, it adds a nice taste. But the cocktail itself is fine without the garnished rim. This cocktail is so simple to make and absolutely delicious. 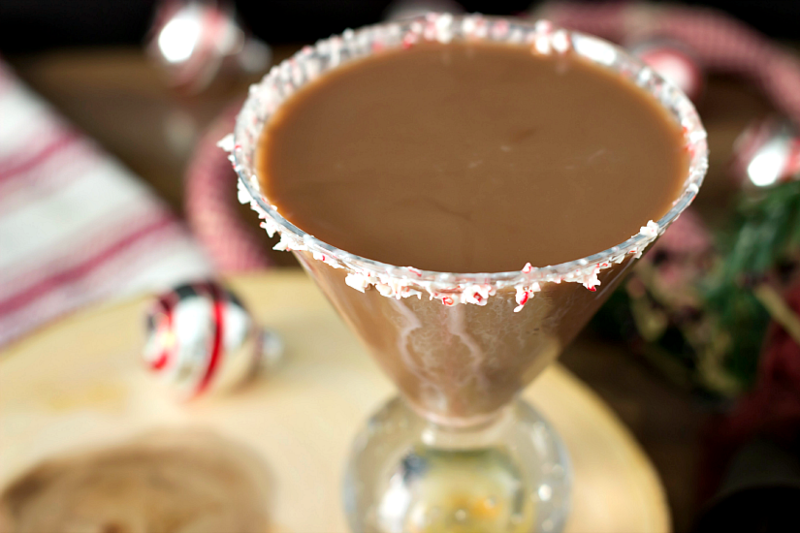 If you love chocolate and peppermint, it's a must-try this season. I wonder how whipped cream vodka would taste in this? Oh my, Sweet heaven! I need to try this heavenly concoction! Pinning for later. 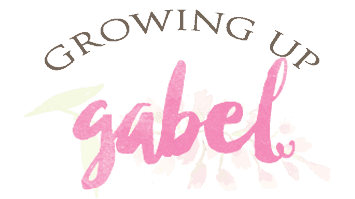 Thanks for linking up with me! Too bad I already finalized my NYE menu or I would have wanted to include this. Looks so yummy! Love a good easy recipe! Comes very handy especially with last minute guests. Thanks for sharing! Was the count done with regular milk or almond milk? I Pinned this one! What a festive and pretty cocktail for the holidays! Can’t wait to try it, maybe this weekend! Thanks for sharing! OMG I definitely need to have all these ingredients on hand for the holiday season. 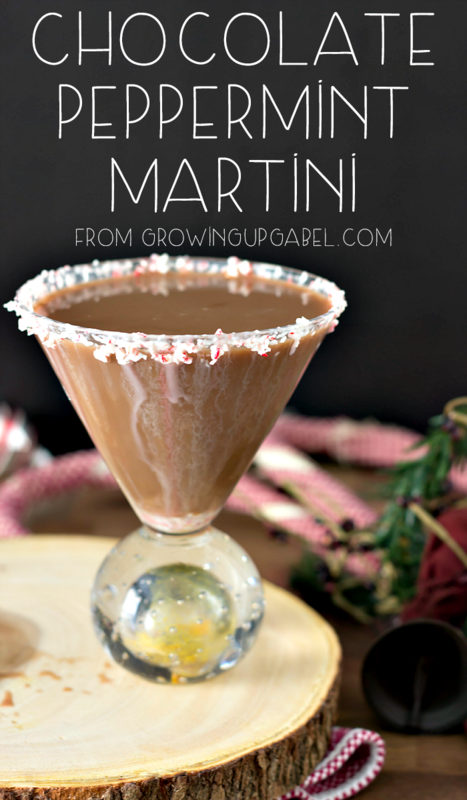 These martini’s look fantastic!! I’m featuring you this week, over at Simple Supper Tuesday. We hope you can join us again this week, starting Monday night at 8pm EST. I love Chocolate and Peppermint, such a classic combo. Sounds like a great Holiday drink to have with friends- thanks for sharing! Pinned and tweeted and wishing I were relaxing in front of a crackling fire sipping this! 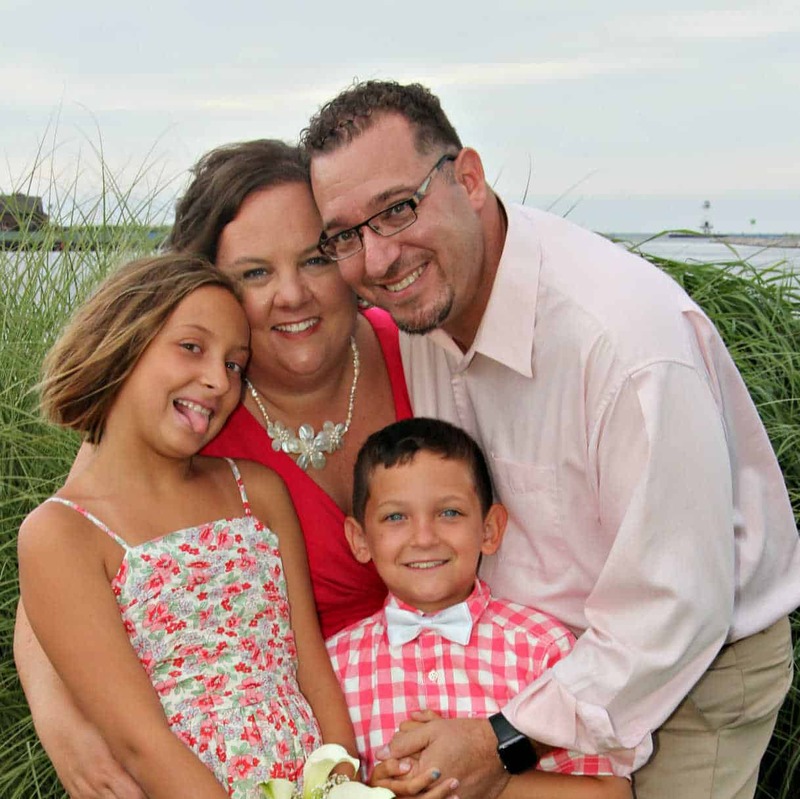 Thank you for sharing with us at Snickerdoodle Sunday!